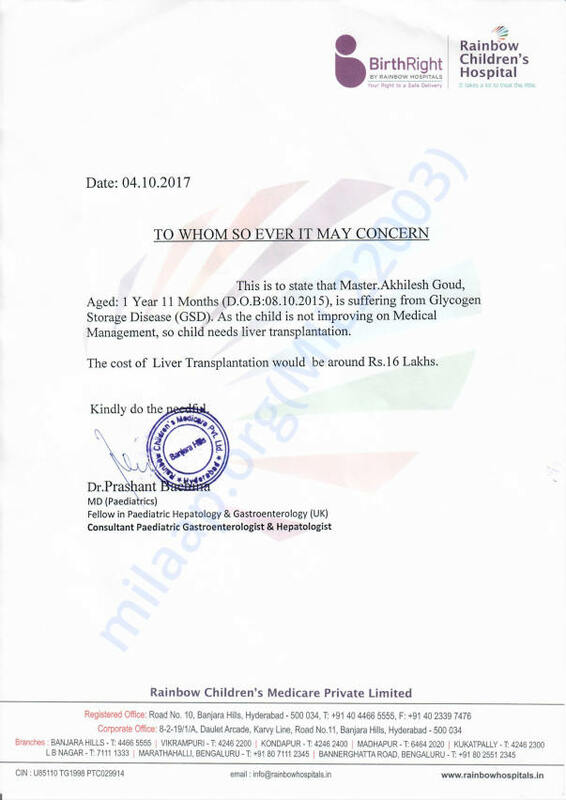 Three months back, 2-year-old Akhilesh was diagnosed with Glycogen Storage Disease which is a severe hereditary liver disease that needs to be treated urgently. Akhilesh has been advised to undergo a liver transplant at the earliest in order for him to recover and start living a healthy life. Unfortunately, for Akhilesh's parents, the stress and concern are doubled as Akhilesh has an older sister, Rithu Goud who also has the same disease and requires a liver transplant. Their father, Sudheer, is ready to do anything it takes to save both his children. 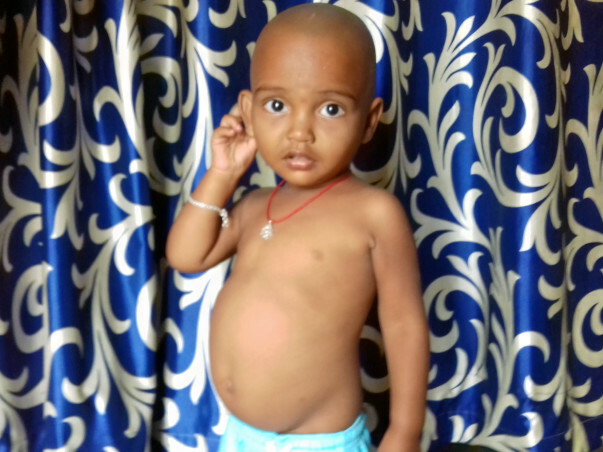 However, Sudheer does not have the funds required to afford the treatment for either of his children. 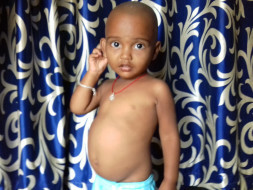 To help Sudheer save his son please donate to help raise funds for Akhilesh's liver transplant. Help this young boy get the treatment he deserves. Thank you for being so supportive. This means a lot to us. Akhilesh is currently stable and is on medication. He may have to undergo a transplant depending on his response to the medication. Please keep praying and supporting him so we can provide him the best of treatment possible. Thank you once again! Shall keep you all posted. Thank you for all the support you have shown towards Akhilesh so far. This is to inform you that Akhilesh's parents have managed to get funds work 8 lakh Rs from CM funds. However they still require another 8 lakh Rs towards Akhilesh's treatment. Request you to please share this with your friends and family to give his parents the support they need to save their son.